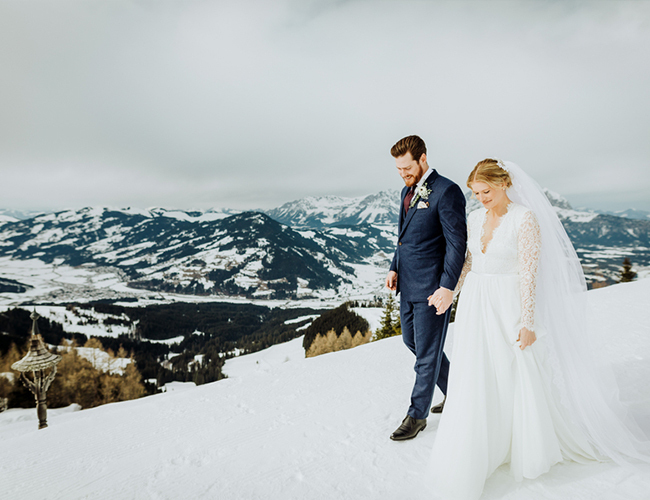 Nothing could be more fitting for this mountain loving couple, than a snowy ski resort wedding in Austria! 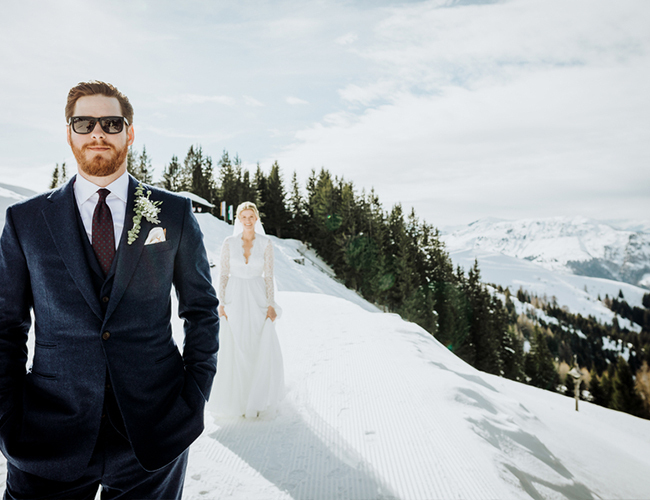 Guys, this setting is stunning. 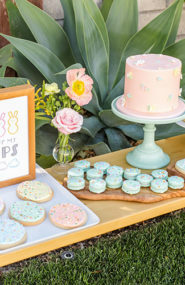 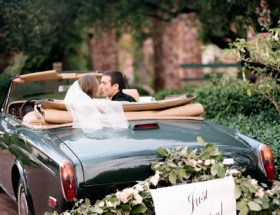 The groom, hailing from the country, and the bride, from Canada, chose to celebrate in the most ‘them’ way possible. 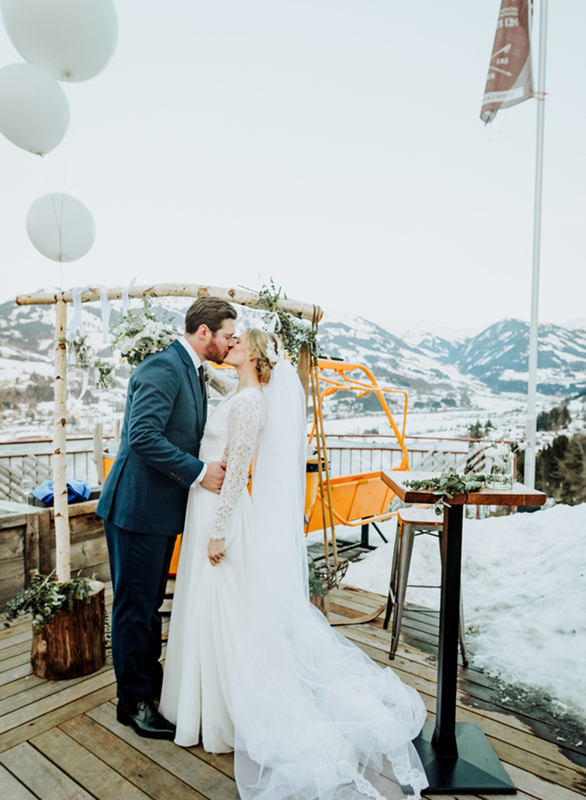 To start, their first look took place on top of the mountain! 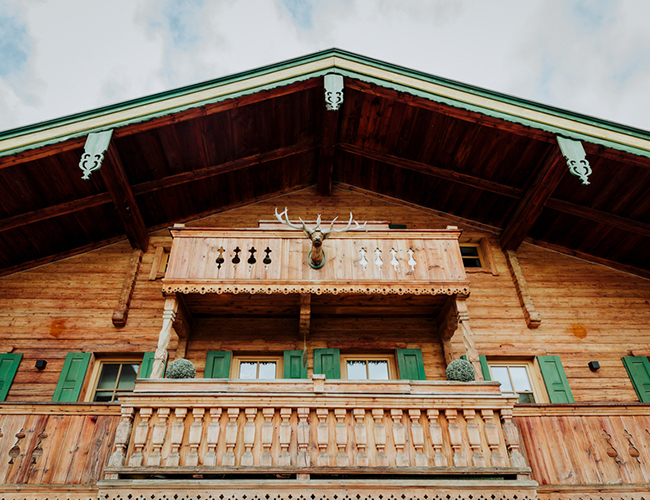 And it just goes up from there! 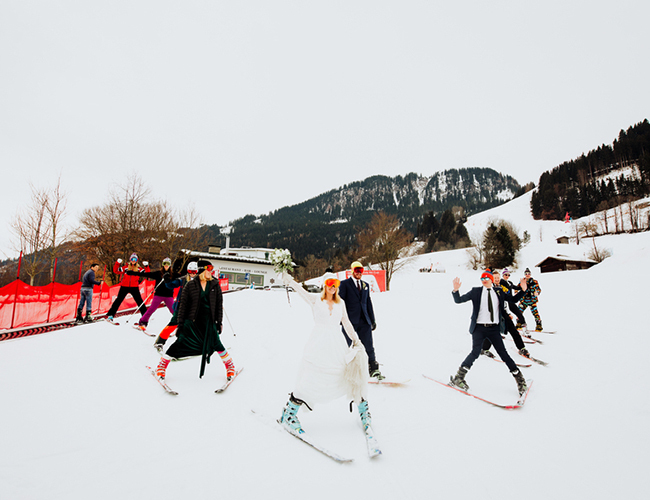 Scroll on for the chilly, but incredibly fun, and beautiful day! 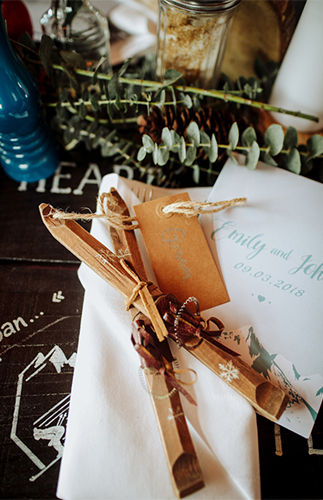 Emily & Johan may have grown up on different continents, but they shared a love of the same thing. 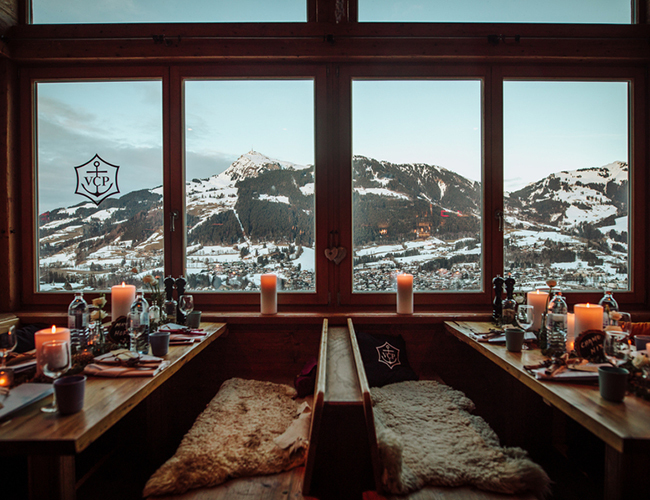 The mountains. 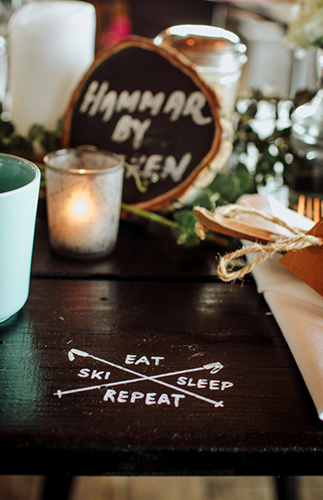 While Emily grew up ski racing in Canada, Johan was learning to snowboard in Sweden. 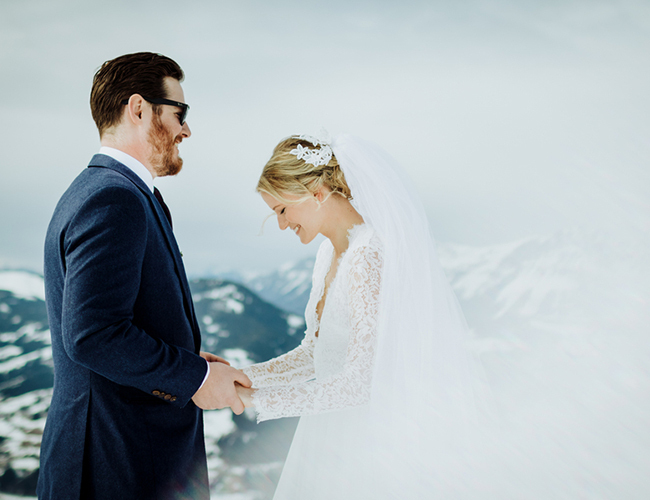 For both of them, winter sport wasn’t just something they did as a hobby. 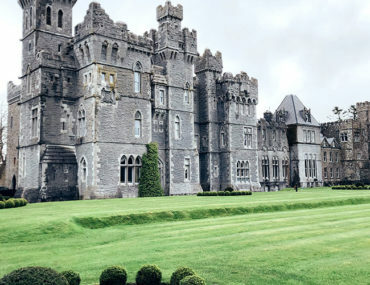 It was a massive part of their life. 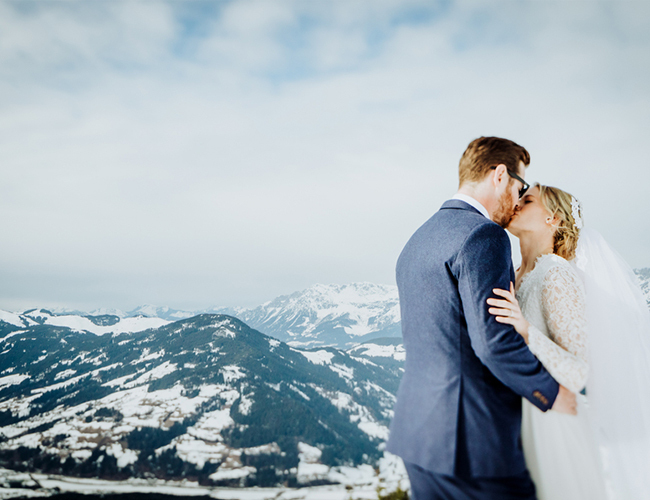 There couldn’t have been a better location for Emily & Johan’s ski-inspired wedding than the Austrian town of Kitzbühel. 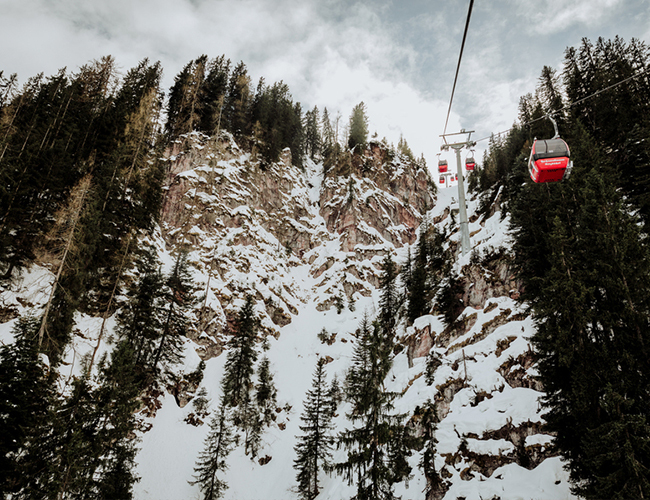 A mecca for ski racing fans, Kitzbühel is home to the world-famous Hahnenkammrennen – with the legendary downhill on the Streif and the slalom on the Ganslern. 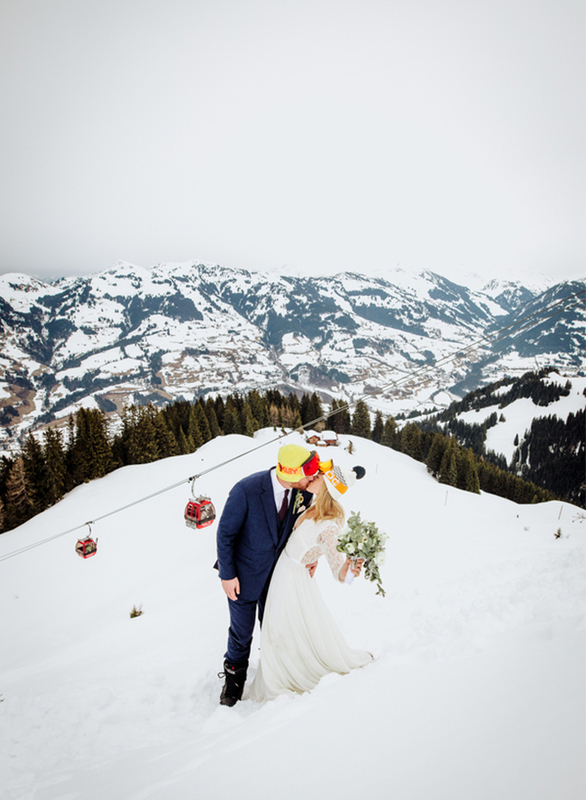 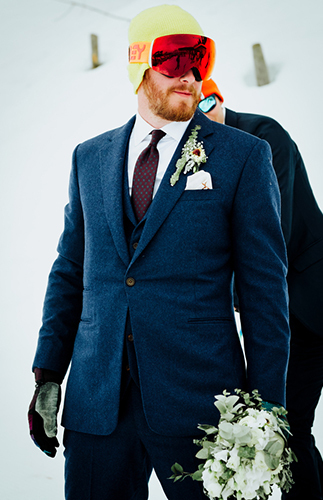 Their love of skiing and snowboarding was present throughout their wedding day. 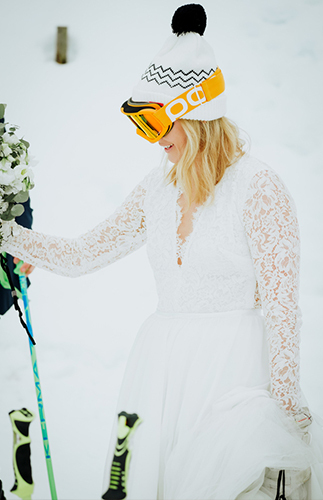 Emily’s getting ready location happened to be the home of famous ski racer Maria Höfl-Riesch, while Johan’s beloved snowboard “Miss Piggy” looked on as Johan got ready to go and meet his bride. 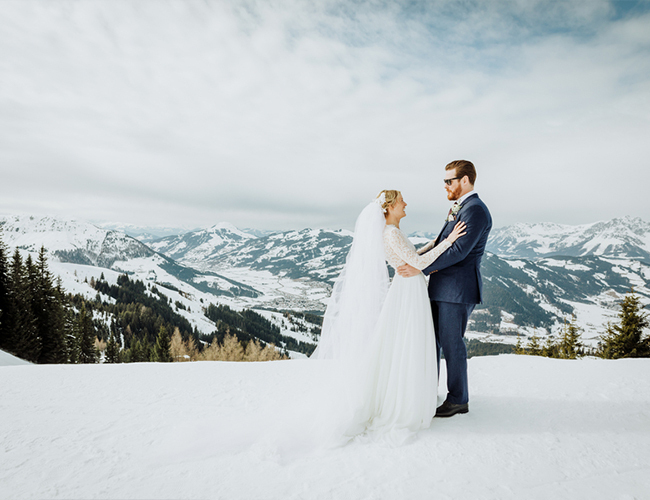 They decided to have their first look in the only place that seemed appropriate – taking the Hahnenkammbahn cable car up to the top of the mountain. 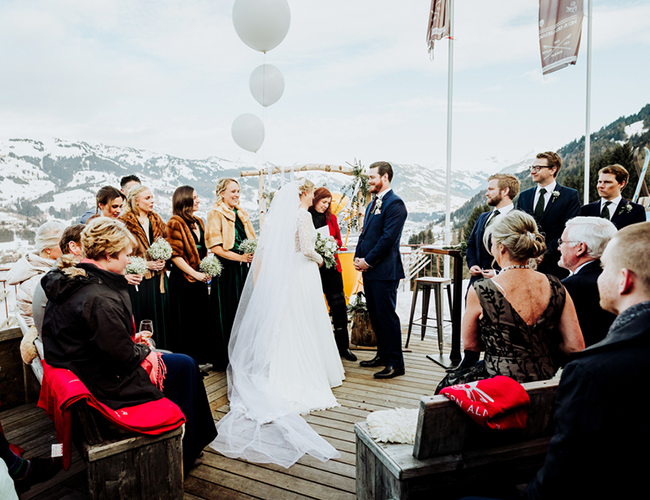 After a few moments alone to take it all in, they were joined by their bridesmaids and groomsmen for a few final boomerang pictures for InstaStories before the main event back down the valley at the legendary Ganslern Alm. 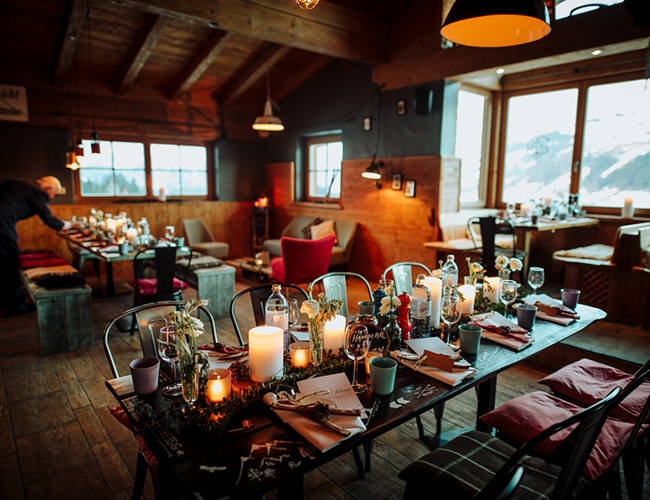 Just above the finish areas for the legendary Kitzbühel ski races sits the super stylish Ganslern Alm – a traditional Austrian mountain hut with a modern twist. 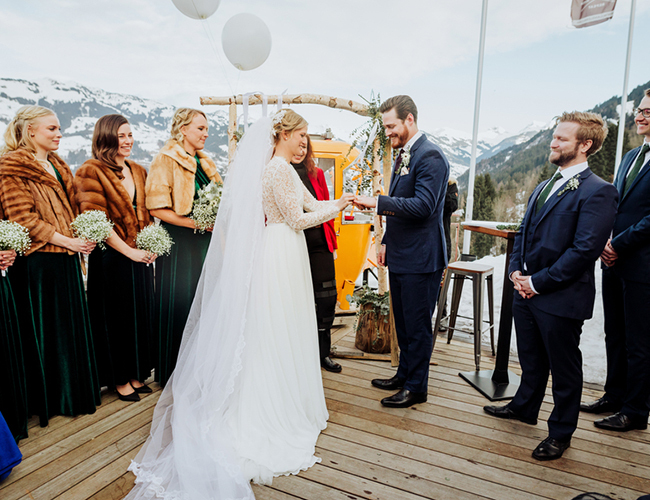 It was here, out on the terrace with skiers flying past, that Emily & Johan said their vows to one another in front of friends and family from around the world. 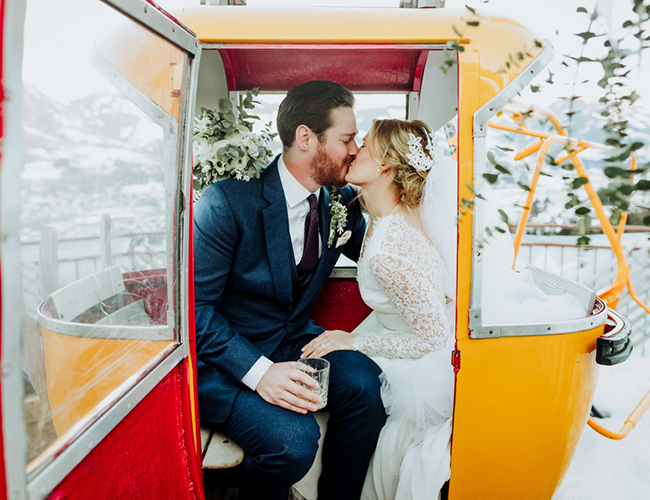 And finally, as husband and wife, all Emily & Johan needed to do now was to party the night away the only way you can in a ski resort. 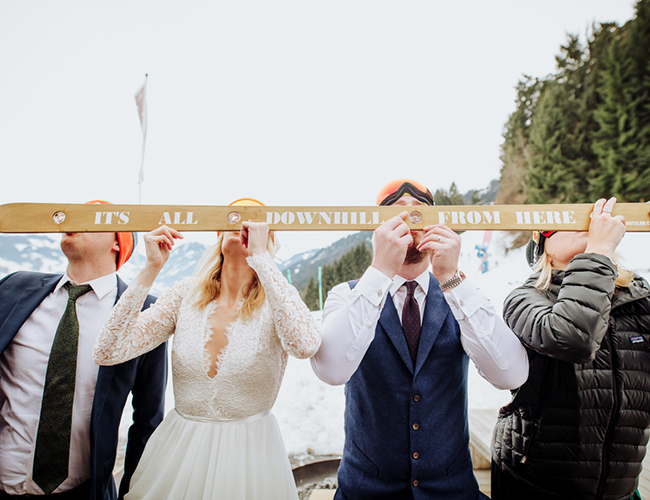 With a massive apres ski party! 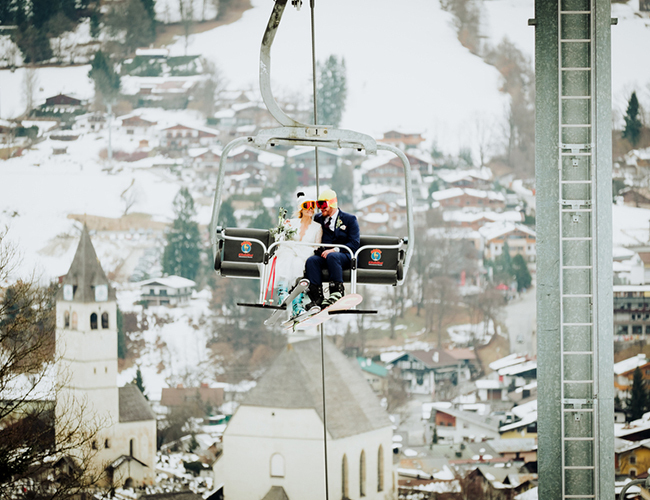 There was no way Emily & Johan were going to pass up on a day on the slopes, even if it was the day after their wedding. 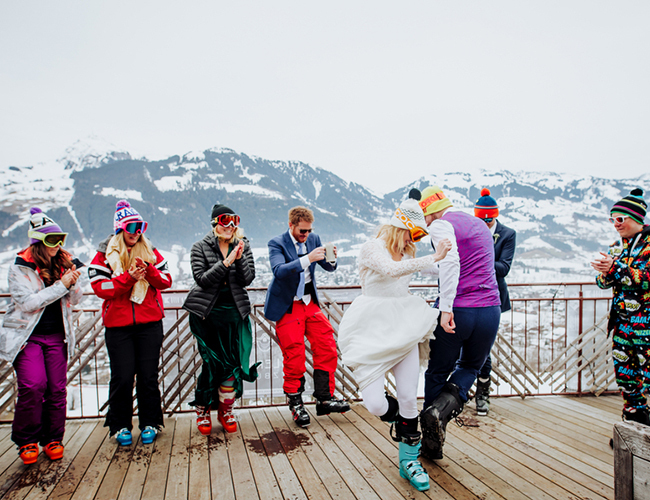 We all arranged to meet at the bottom of the Ganslern lift the next morning and go for a ski together. 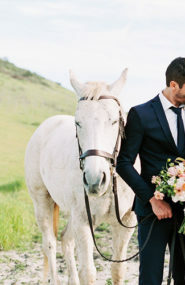 In wedding attire of course! 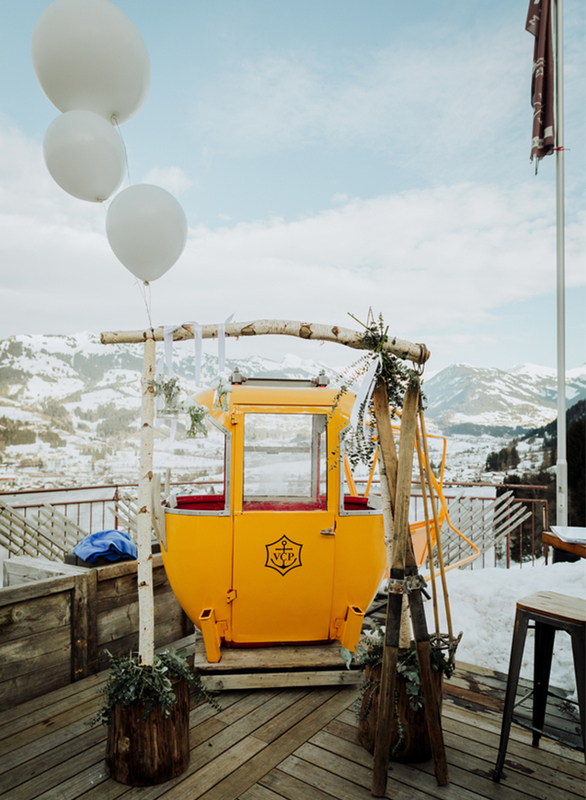 After a few laps of the Ganslern, everyone decided the only thing to do now was to head back to the scene of the crime, the Ganslern Alm, and pick-up the apres ski party where they left off earlier that morning! 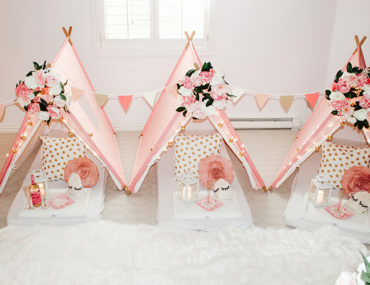 Doesn’t this look like fun!? 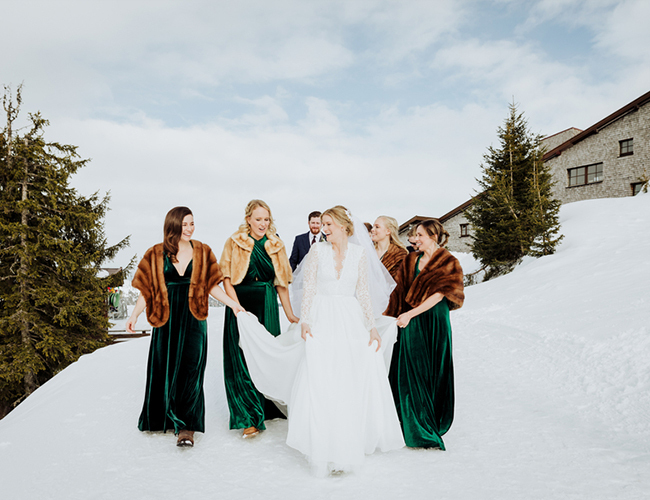 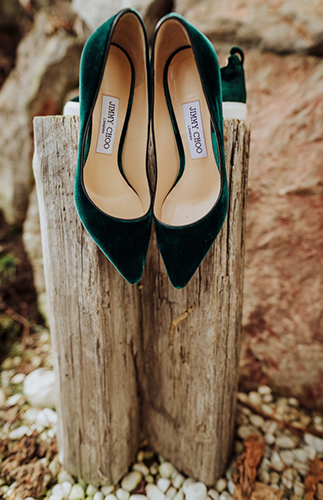 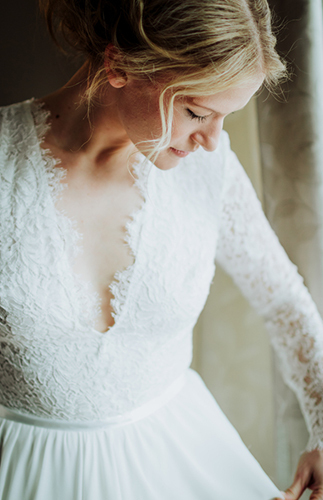 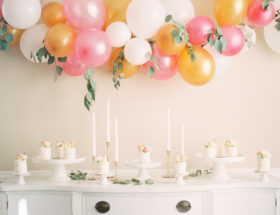 You will also love this Rustic Mountain wedding and this mountain wedding in Montenegro!